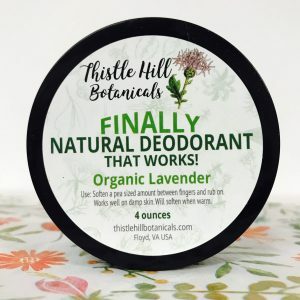 Thistle Hill Botanicals Detoxifying Clay for Transitioning to All Natural Deodorant top quality! Packaged in a BPA FREE Emerald Green Recyclable 2 ounce container. Enough for around 10 treatments. This is perfect for making a paste and applying to your armpits to assist with detoxing from your previous (and possibly chemically loaded deodorant). Here is the WHY…..After years of using chemicals and ingredients that block the glands that naturally detox every day, your body needs to be detoxed so it can do it’s job again. Our deodorant will not block your pores or cause any chemical issues. Mix all of the ingredients in a glass bowl with a wooden or silicone spoon until about the consistency of sour cream. Spread in an even layer over the armpits and allow to sit for 10-20 minutes. I suggest starting slowly and working up to a longer period of time once you see how your body adjust. If it hurts at all, remove immediately. 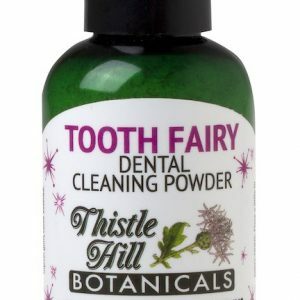 This may cause some redness as it will increase blood-flow to the area, but it will go away quickly. 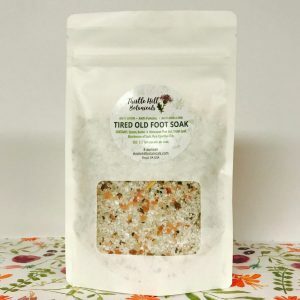 Wash off in the shower or with a warm, wet washcloth, without rubbing too hard.